United Vacations is a travel supplier that can truly help you vacation anywhere in the world and we at Big Dreams Travel would love to set you up with a fantastic United Vacations travel package. Whether it is a trip to southern California, an all-inclusive island paradise in the Caribbean, or anywhere else in the world, United Vacations and Big Dreams Travel can help. 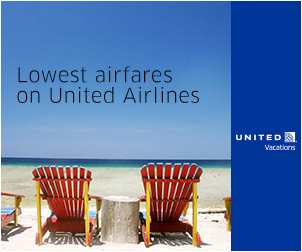 You can CLICK HERE to browse current United Vacations packages and book yourself. Or if you want the free help of a professional travel agent you can e-mail us at bigdreamstravel@yahoo.com, give us a call at 405-760-2930, or fill out the contact us form HERE for more information on how to get started planning your dream getaway.